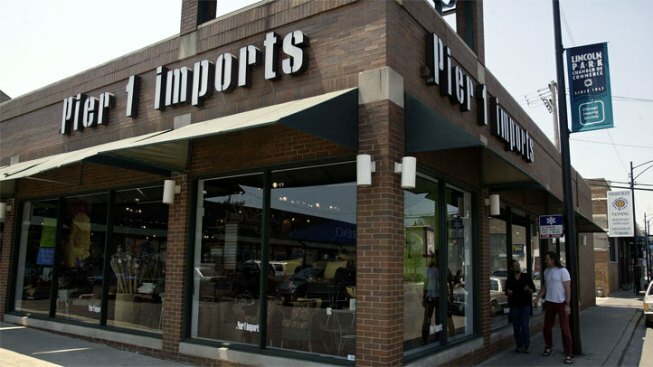 Pier 1 Imports Inc.'s fiscal fourth-quarter net income surged 65 percent, buoyed by improving sales, cost control efforts and strong merchandise margins. The home décor company also announced a three-year growth plan on Thursday that includes investing $200 million of capital into its operations and starting a $100 million share buyback. The company's shares jumped 8.6 percent, or 91 cents, to $11.45 in premarket trading. Pier 1 earned $57.1 million, or 48 cents per share, for the three months ended Feb. 26. That's up from $34.5 million, or 30 cents per share, a year earlier. Analysts polled by FactSet expected earnings of 47 cents per share. Revenue climbed 8 percent to $426.6 million from $396 million, helped by better traffic, an improved conversion rate and higher average ticket. Revenue at stores open at least a year rose 8.9 percent in the quarter. This figure is a key measure of a retailer's health because it excludes revenue from stores opened or closed during the year. For the month of March, the sales measure climbed 11.3 percent. Merchandise margins were 58.4 percent of sales compared with 55.8 percent of sales in the prior-year period. Full-year net income increased 15 percent to $100.1 million, or 85 cents per share, compared with $86.8 million, or 86 cents per share, in the previous year. Annual revenue improved to $1.4 billion from $1.29 billion. The company's three-year growth plan includes an effort to speed up Pier 1's online initiative. The Fort Worth, Texas, company wants its online business to make up at least 10 percent of revenue within five years. It plans to start selling online in the early summer of 2012. Pier 1 also expects improvements to existing stores, including a rollout of new fixtures, lighting upgrades, and other enhancements. Its growth plan includes having sales of $200 per retail square foot and having an operating margin of at least 10 percent of sales within three years. Alex W. Smith, president and CEO, said in a statement, "Our Pier 1 Imports brand is getting stronger and we are ensuring that we have the right tools in place to become a best-in-class, multi-channel retailer."